Poor Bob House. A private investigator with little to investigate, he's nearly out of options. His friends are either drunks or perverts or, like him, shell-shocked survivors of the Vietnam Conflict recently returned to a country that seems to have demons of its own to exorcise. It's 1978 and times are tough in the Motor City. Now even the bodies of the dead children that start to appear on highway medians and back alley dumpsters seem like good news to him. Work is work, especially for a down-and-outer like him. Solving the case could launch House's career. Never mind that his reasons for doing so are less than wholesome. He knows this is his last chance. He sees Detroit crumbling around him even as he struggles to make a life for himself. 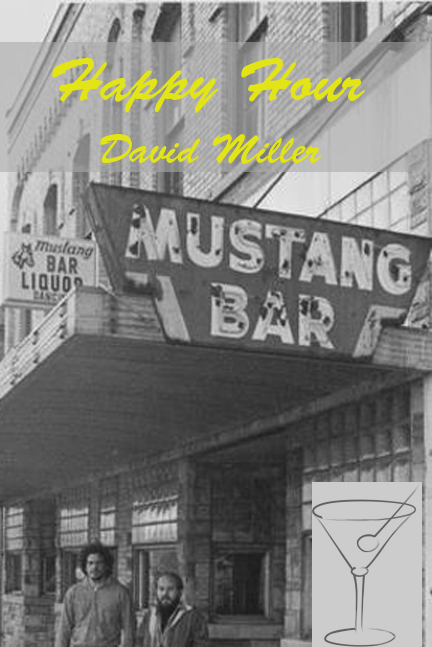 Happy Hour is a work of social crime fiction similar in tone and subject matter to David Peace's Red Riding Quartet and the novels of Richard Price. It deals as much with the circumstances that surround a murder spree (this being a recreation of events related to the Oakland County Child Killer case in Detroit's suburbs in the 1970s) as with the crimes themselves. So it is that Happy Hour chronicles various strata of American society while these murders are transpiring. We are given glimpses of the victims' families, a class of auto executives who feel that their lives are being affected by impersonal economic forces, as well as the killer himself who at the novel's close comes to assume disturbingly similar characteristics with his hunters as well as his victims. We are all implicated in society's downfall. We are all victims and victimizers. Read an excerpt from Happy Hour by clicking helping hand or clicking here. For greater details on the author, the Oakland County Child killer case, or to order the book click links above or the book jacket below. Thanks for visiting!